Schluter is always coming up with innovative solutions for bathroom and shower installations. Their shower systems have revolutionized the way showers are installed with their waterproof Kerdi and easy to install drains. This new Kerdi-Line-Drain is the perfect application for any new modern and contemporary shower, or even existing showers. 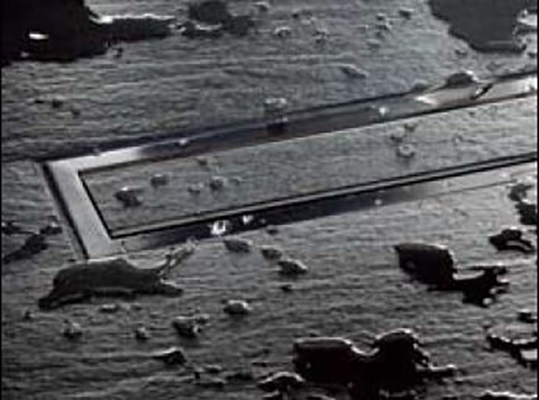 The Kerdi-Line is a low profile linear floor drain that is specifically designed for bonded waterproofing assemblies. The Schluter Kerdi-Line can be installed adjacent to walls or any other intermediary location in a variety of applications such as steam rooms, showers, wet rooms and any other application that requires drainage and waterproofing. One of the highlights of this revolutionary drain is that the floor can be sloped on a single plane to the Kerdi-Line which enables the use of large format tiles such as large porcelain tiles or marble tiles. What makes this drain so great for such bathrooms is it’s perfect for wheel-chair accessible showers and is zero-clearance as in it does not protrude from the shower floor. 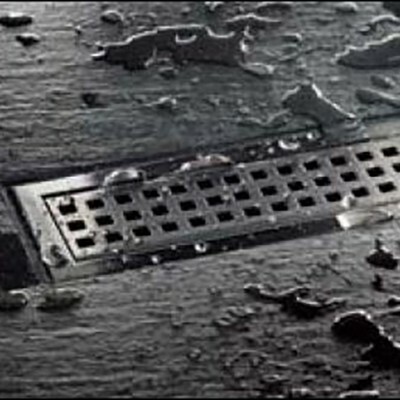 The drain ranges in size from 20 inches to 48 inches long, and has an adjustable grate frame that is meant to accommodate different tile thicknesses ranging from 1/8” to 1”. The linear drain comes with three interchangeable grate designs depending on customer preference; traditional design with square great openings, brushed stainless steel with side drainage, and inverted design for tile installation. The simple connection to standard drain outlets makes the Schluter Kerdi-Line suitable for new construction and renovation. 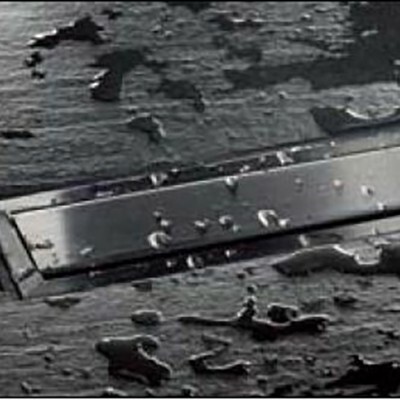 The Schluter Kerdi-Line requires no special maintenance as oppose to other drains and is resistant to mold and fungi. The grate may be removed to clean the drainpipe and the channel body. Stainless steel grates exposed to certain environmental aggressive substances should be cleaned periodically using a mild household cleaner. 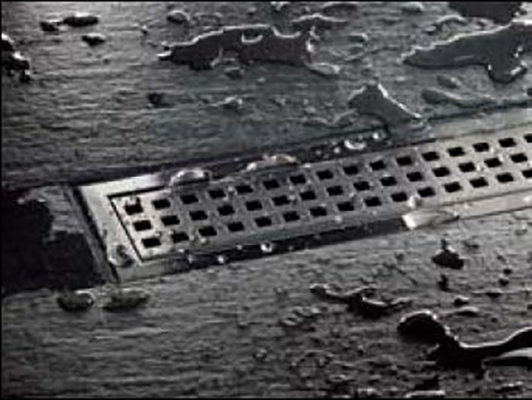 Cleaning the drain regularly will maintain its clean and sleek appearance and reduce the risk of corrosion as well. Make sure that your cleaning agent is free of hydrochloric and hydrofluoric acid. The following installation instructions include the steps necessary to install the Schluter-KERDI-LINE linear drain within a bonded waterproofing assembly. 1. It is recommended that shower walls are made waterproof using Schluter-KERDI or Schluter-KERDI-BOARD prior to construction of the showerbase. The waterproofing is carried to the height of the showerhead (at minimum). The substrate must be clean, even, and load bearing. Any leveling of the floor must be done prior to placing the channel support and Schluter-KERDI SHOWER-L/-LS tray. 2. For installation adjacent to the wall, the channel body must be aligned in accordance with the thickness of the wall covering. For intermediate installation, use the supplied filling strip with peel-and-stick adhesive layer to make the channel support symmetrical. After locating the correct position, cut a hole in the substrate for the drain outlet and coupling to the waste line. Fill in box-outs in concrete floors with dry-pack mortar. A pipe coupling or similar can be used as a form around the waste line. Select form to accommodate the KERDI-LINE outlet and mechanical coupling. Limit the diameter of the hole to 5″ (125 mm) maximum to ensure proper support of the tile assembly. A larger hole can lead to lack of support and damage the tile assembly (e.g., cracked grout around drain). 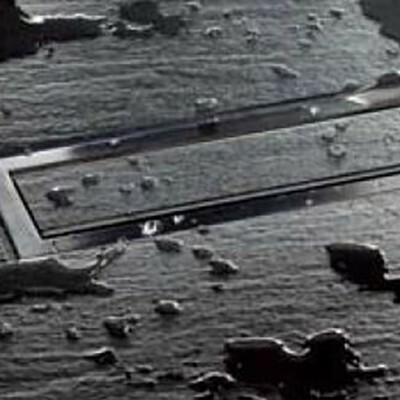 Note: When a flush installation of KERDI-LINE is desired, a registered design professional (i.e., professional engineer or professional architect) must be consulted for a subfloor repair/modification design and detail to ensure conformance of the subfloor with applicable building code(s) after the subfloor section is cut to accommodate the channel body. 3. Schluter-KERDI-LINE can be installed in conjunction with the provided channel support as described below or set in loose mortar. KERDI-LINE is connected to the waste line with the appropriate mechanical coupling (e.g., flexible or no-hub connector)in accordance with the coupling manufacturer’s instructions. a. When there is access to the plumbing from below and the waste line can be connected after installing Schluter-KERDI-LINE, apply unmodified thin-set mortar to the substrate where the drain is to be placed with a notched trowel and solidly embed the channel support in the mortar. Apply unmodified thin-set mortar to the top of the channel support and press the drain firmly into the mortar, ensuring full support of the bonding flange. b. When there is no access to the plumbing from below, the channel body must be set and connected to the waste line simultaneously. Begin the drain installation by dry fitting the components as follows. Attach the mechanical coupling to the Schluter-KERDI-LINE outlet. Measure and cut a section of pipe to connect the coupling to the odor trap below the floor, using the channel support as a spacer. Remove the mechanical coupling from the outlet. Continue the drain installation as follows. Apply unmodified thinset mortar to the underside of the bonding flange and press the channel support firmly into the mortar. Attach the mechanical coupling to the drain outlet per the coupling manufacturer’s instructions. Attach the cut section of pipe to the mechanical coupling per the coupling manufacturer’s instructions. Apply unmodified thinset mortar to the substrate where the drain is to be placed with a notched trowel. Prepare the cut section of pipe and odor trap with cleaner, primer and ABS or PVC cement per the solvent cement manufacturer’s instructions. Solidly embed the channel support and KERDI-LINE into the mortar on the floor and connect the cut section of pipe to the odor trap. Note: Schluter-Systems recommends installing KERDI-LINE according to 3a whenever possible. continuing with the remainder of the installation. a. When using Schluter-KERDISHOWER-L/-LS tray: If necessary, cut the tray to size prior to application. 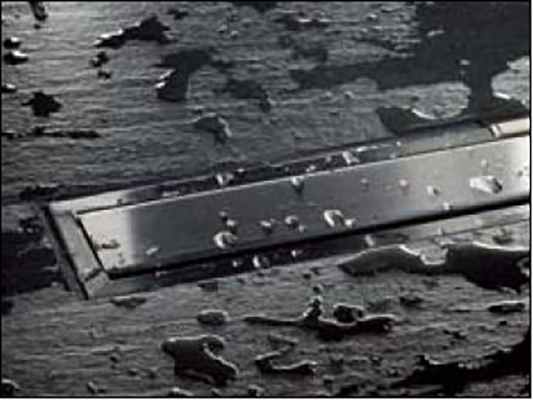 When the KERDILINE is placed at an intermediate location (e.g., center of shower), it is recommended that the KERDISHOWER-L tray be cut by equal amounts from the ends to ensure a consistent height of the first course of tile. When KERDI-LINE is placed adjacent to a wall, cut the KERDISHOWER- LS tray from the thick end to ensure a flush transition at the drain. The shower base can also be extended beyond the tray using dry-pack mortar, which is in turn covered with the KERDI membrane. Cut the flat end of the KERDISHOWER-L/-LS tray to fit around the channel support. Apply unmodified thin-set mortar to the substrate using a 1/4″ x 3/8″ (6 mm x 10 mm) square- or U-notched trowel. Slide the KERDI-SHOWERL/-LS under the edge of the channel body flush with the surface of the channel support, making certain to solidly embed the tray in the mortar. Check the underside of the tray to ensure that full coverage is achieved. entire surface to ensure full coverage and remove air pockets. The KERDI is carried to the stainless steel bonding flange. assembly using Schluter-KERDI-BAND waterproofing strips and Schluter-KERDI-KERECK-F preformed corners. Note: The sequence of membrane installation can vary provided that a minimum 2″ (50 mm) overlap is maintained at all joints and proper connection to the KERDI-LINE is established. 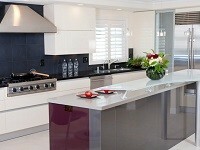 Topover-bottom or shingle laps of the membrane are not required. 6. Once the entire membrane, including seams, corners, curbs, and connection to drain, have been completely bonded and, therefore, waterproofed, the assembly is ready to be tiled. 7. Apply unmodified thin-set mortar to the underside of the grate frame and place it in the channel body. Insert the foam spacers in the grate frame to reinforce it during the remainder of the installation. 8. Insert the plastic height adjustment spacers with threaded bolts under the tabs along the inside of the grate frame to adjust the elevation of the frame such that the surface of the frame will be flush with the surface of the tile covering. The spacers may be adjusted simply by turning the bolts by hand or with the enclosed Allen wrench. coverage. For acid-resistant coverings, use an epoxy adhesive to set and grout the tile. Once the tile covering is set and grouted, remove the spacers from the grate frame and insert the grate. Follow steps 10 and 11 in conjunction with step 9 if the Schluter-SHOWERPROFILE-S/-R profiles are to be included in the tile assembly. profile is to be placed. Press the trapezoid-perforated anchoring leg of the support profile into the mortar and align. b. Measure the required length and height of the tapered profile. Keep in mind the insertion depth into the U-shaped groove. c. Remove the protective foil and cut the tapered profile to size. Apply unmodified thin-set mortar to the back of the cut tapered profile and insert it into the U-shaped support profile. Press it in place and align it flush with the floor or wall. Note: If the Schluter-SHOWERPROFILE-S is being placed along a wall and the wall tile is already installed, insert the tapered profile into the U-shaped support profile before setting the support profile in place. a. Select the profile according to the height of the wall area to be covered. Remove the protective foil and cut the profile to length. b. Connect the two components of Schluter-SHOWERPROFILE-R to achieve the desired height. c. Apply a sufficient amount of unmodified thin-set mortar to the fleece fabric, which is laminated on the reverse of the profile, and set the profile in place so that it is flush with the tiles. Note: Protect the visible surfaces of the grate frame, grate and profiles from contact with setting and grouting materials. 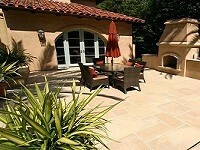 Setting and grouting materials must be removed immediately.